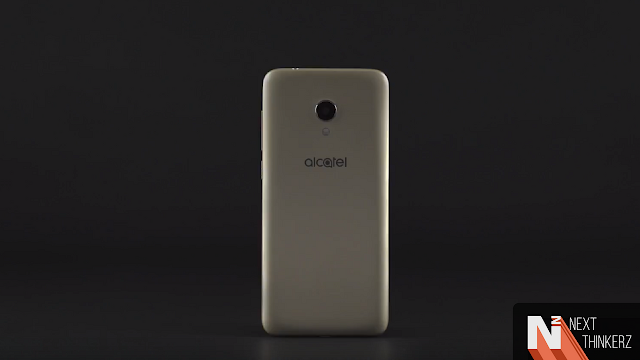 This is Alcatel 1X Phone - Worlds's First Android Go Edition Smartphone. Google had recently announced their "Android Go" project at IO 2017 where they discussed, how they want to improve the entry-level smartphone segment with the help of their secret project. Android Go, if you don't already know is a project focused on the entry-level smartphone segment, which would be running the latest optimized version of Android since the devices will favor 1GB RAM. It's like a stripped down version of Android One project. Therefore ever since Google had made that announcement, the Company has been hard at work to create optimized apps for their Go Edition devices. Believe it or not, these apps are almost 50% less in size thereby consuming less RAM, while keeping the phone running in it's prime. Whereas as it's MWC 2018, Users have been excited to see which smartphone manufacturers would be the joining the "Android GO" league. Well, just yesterday, Alcatel pulled out 5 Devices out of their sleeves at their press conference in Barcelona, and surprisingly they announced the Alcatel 1X, making them the first company in the world to declare an Android Go edition device. So let's find out more about the 1X in detail. Alcatel 1X Phone - Worlds's First Android Go Edition Smartphone. 1.28 GHz Quadcore MediaTek MT6739 Processor. 1GB RAM/2GB RAM with 16GB ROM and it has support for Micro-SD card expansion. 5.3 inch VGA+ display(960x480) with 18:9 aspect ratio. 2GB RAM variant has a 13MP Primary Camera, while the 1GB RAM variant features an 8MP Camera. Both are capable of recording 1080p HD videos with EIS supported and rest gimmicks like selfie booth etc. While either variant you choose depending on your choice, there's a 5MP Selfie camera with LED flash. Similarly, the higher end variant will have the fingerprint scanner(or not), Dual SIM Capability & Google Assistant. Whereas the lower-end variant will not have any of such features. It runs on an optimized version of Android Oreo 8.1 with the exception that the device will even receive timely security patch updates. The 2GB RAM variant will also feature the Face Key, which is a fancy way to say that the device will have face unlock. However, don't expect it to be reliable considering it's on low-end hardware and pricing. It features a 2460mAh non-removable battery. 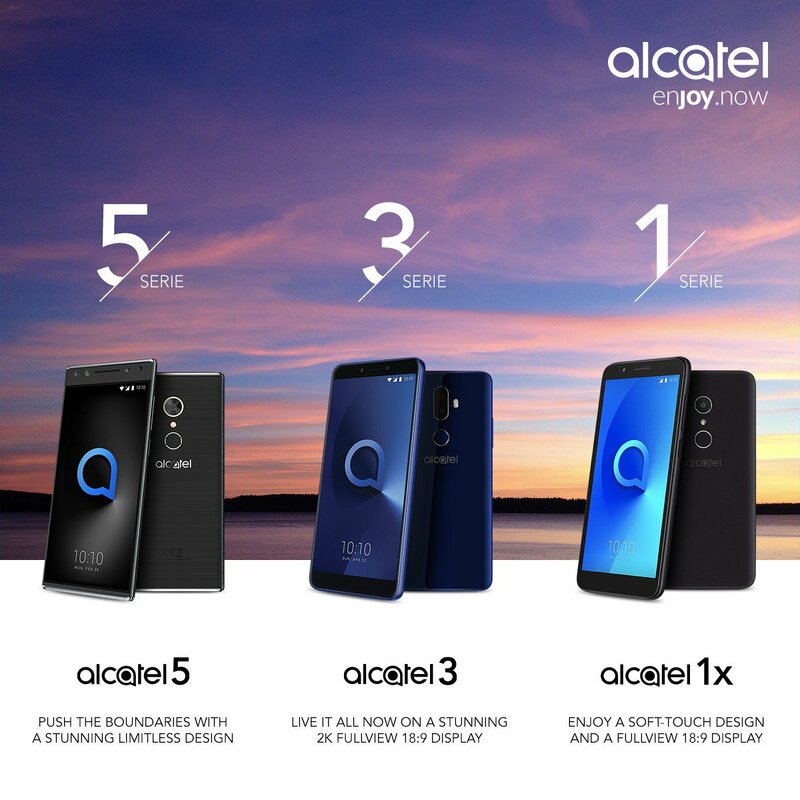 Alcatel said that the Alcatel 1X would be available in multiple colors starting this April 2018. The single sim variant will be available at 99 euros, while the dual sim variant will be available at 109 euros. The Alcatel X1 even comes with Android GO's pre-installed set of apps including the Files Go, YouTube GO, Google Assistant Go, Maps GO & Google Go. Will the Alcatel 1X stay true to the "Worlds's First Android Go Edition Smartphone" Tag? Given the fact that the Alcatel 1X runs on Google's Android Go edition software, we cannot deny the fact that the hardware used here is almost four years old. However here, Google has optimized the software to even run on low-end hardware, now why am I repeating this point? Well, I've seen several reports online that the media didn't well receive this device. There were occasional stutters, although many managed to say that it was a pre-release software. Now I don't have a valid statement to this, but let's just say that MWC has just begun, while there are more such Android Go announcements which we will hear shortly. As even though it runs on low-end hardware, Google's original attempt here is to deliver the latest version of Android which is mostly mellow in such pricing segment. Links to buy this device will be updated here as soon as we get an update on the same. Anyways stay tuned to our blog for more such exciting MWC 2018 coverage.